This long geometric sterling silver necklace is a perfect piece to layer on top of any outfit! You can pair this necklace with jeans and a t-shirt to a long flowy maxi to a pretty shirt dress. I've even designed this necklace to have two looks: One side has a touch of black, highlighting the triangle, but flip the necklace over and it is completely silver on the reverse side. Two in one! This sterling silver necklace is 42" long and the sterling pendant is approximately 2.25"long and 2" wide. 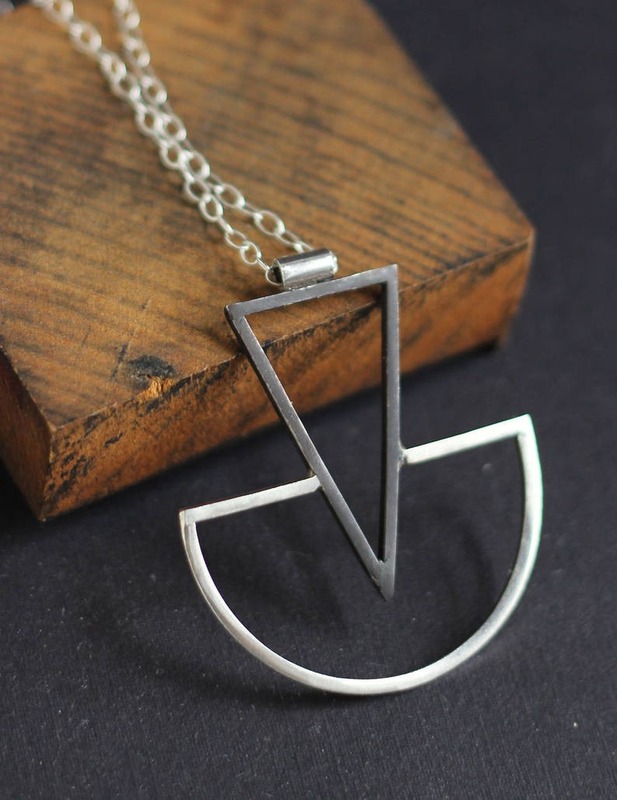 The pendant features an oxidized black triangle on one side and a completely silver look on the opposite. Since this sterling necklace is quite long, does not have a clasp. It easily slips over your head.